For kids, their bedrooms are not just a place for sleeping but they consider it as a playground, a safe place for their imagination to wander. But this precious room often becomes a big mess and in the end, the time spent to create this perfect room is worth it. 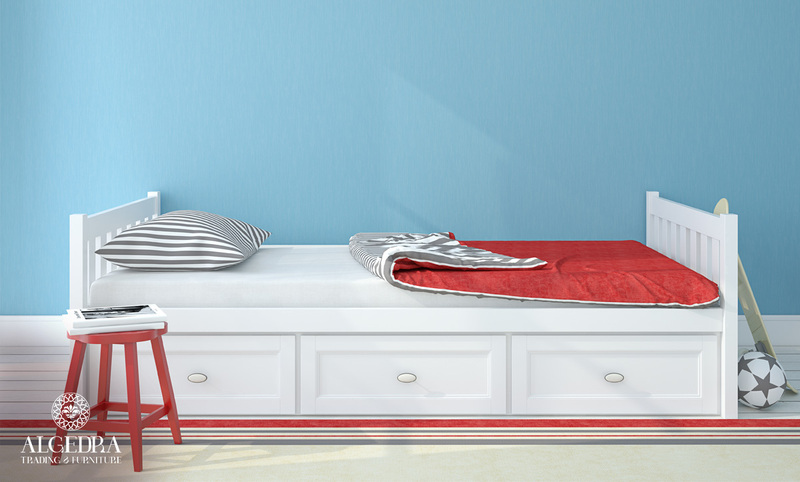 Are you looking for some creative ideas to add vitality for your very hyper kid’s bedroom? Then this is the place for you to start. These rooms for children and adolescents offer ideas and realistic designs that combine between the ability of storage and being child-friendly in their furniture and creative colors. Yellow and yellow-orange colors are refreshing colors for boys, especially if applied to the doors with pink artistic touch. 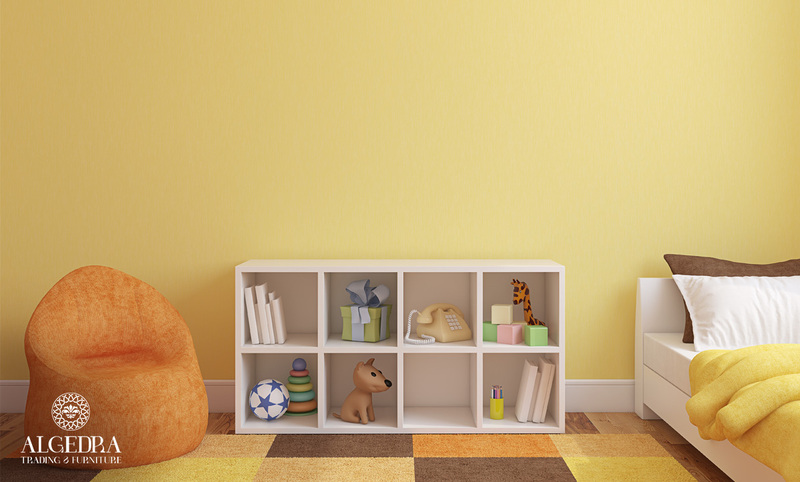 It is easy to see that the yellow color grades fit boys and girls rooms, they are beautiful colors for young kids and they are sophisticated enough for teens rooms. You can get out of the ordinary colors by blending two colors such as orange, blue and add shades of lime color, these create enjoyable colors that are suitable for children of all ages and races. Another concept for fun bedrooms is offered by ALGEDRA for furniture and interior design is by including pink and lime colors with the modern and elegant decor, to create a space full of life and joy. Delicate Bedrooms in beautiful colors such as lavender mixed with white is definitely a nice place to see when you wake up in the morning, especially when you add a picture of a flock of birds to make the wall look nice. Book Shelves extended from floor to ceiling will ensure you put all the important study supplies at your fingertips in a nice and tidy manner, with small shiny tanks that add a nice touch to private things, and if the room is small it is possible to add a hidden bed in the wall in a modern way that can be withdrawn whenever you want to sleep. If you have visitors from time to time a sofa bed is the right choice for you. A bunk bed is a great idea especially if the stairs between the two-bed are small cabinets where a child can store his favorite things as it is a safe way for children to place their reading books before bedtime. For a calm sleep at night it’s preferable to have a glossy white ceiling which adds better comfort and relaxation, then the table lamps on the sides of the bed. Hidden illumination inside the Wardrobe adds an indirect luxury effect. The addition of a pendant lamp in the form of chrome and pink color adds a touch of art and sophistication to the room. Calls us now so we can discuss with you more ideas to design your kid’s bedroom.